Telematic Solutions has been awarded a turn key contract with the CNES (Centre National d‘Etudes Spatiales) for the design, procurement, installation and delivery of the low current systems for the new Ariane 6 launch pad at the CSG space port, in French Guyana. The contract, awarded in 2017, include an initial phase of analysis and engineering, followed by systems installation as well as the technical and operational qualification. Telematic Solutions is also in charge, as subcontractor of CEGELEC, of the design of the water system so called “deluge”, which allow to absorb the acoustic wave and energy of the launcher at launch. 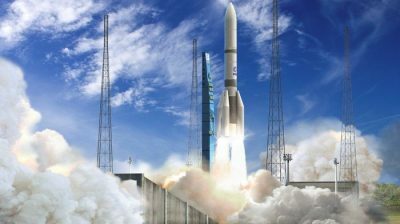 The first launch of Ariane 6, planned in 2020, will allow Europe to have competitive and flexible access to space.